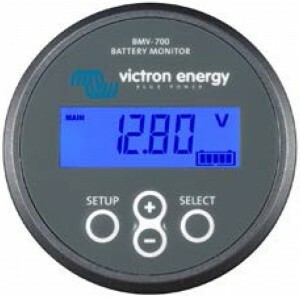 The BMV 700 series is basically a battery fuel gauge that displays state of charge, time to go, and power consumption in Watts. Its easy to install and easy to program. For more information on these products and more contact us now! Input voltage range, auxiliary battery n.a. 6,5 – 95 VDC n.a. Temperature measurement range -20 +50°C -20 +50°C n.a. Temperature (0 – 50°C or 30 – 120°F) n. a. ± 1 °C/°F n. a.